1 5/8" ant. 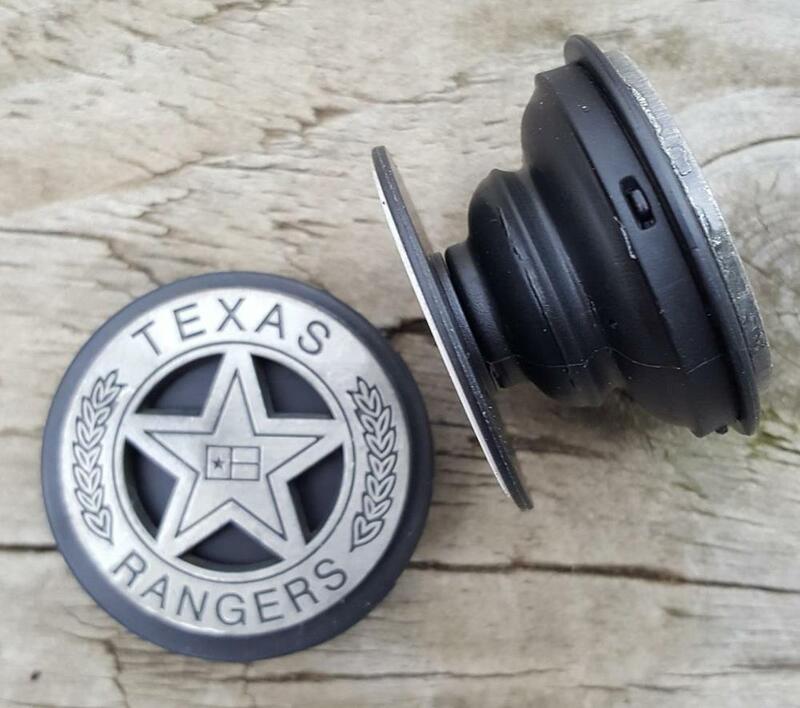 nickle Texas Ranger pop up phone grip. Peal clear cover off of the adhesive tape on the back of the unit and stick to the back of your phone. When you use your phone, gently pull on the concho 'til the rubber pops out like an accordion. Place your fingers around the the stem with your palm against your phone and you have a secure hold on your phone. When you're done talking, face timing or posting on line, simply push the concho back towards the phone to flatten the grip and place back in your bag.